We promise that this Night at the Library Tour will be one of the most exciting evenings you’ve ever had in a Library! With access to the Main Library at night, you can experience its magnificent architecture and see why it's the Stay Puft Marshmallow Man's favorite Detroit hangout since moving from Brooklyn. The tour is perfect for a date night, an evening with friends or a highlight of a Detroit visit. Our docents will share with you the secrets, backstories and hidden nooks and crannies of Detroit’s acclaimed Main Library. RSVP is required, tickets will not be sold at the event. 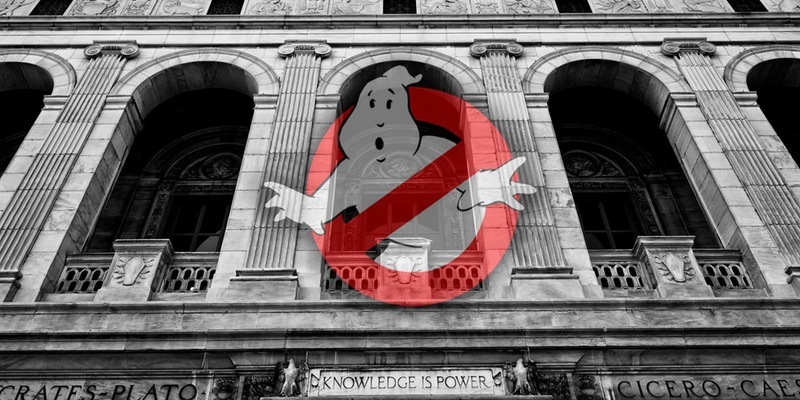 *Standard 60min art and architecture tour with a Ghostbusters themed Happy Hour after.